Exceptional Cul-De-Sac setting overlooking nature Preserve. Two story foyer. Open kitchen family rm. 2 way fireplace, Family rm to library. Kitchen w/granite, butler pantry, island & door wall to upper deck. Custom molding. Recessed lighting. Master suite w/vaulted ceiling. 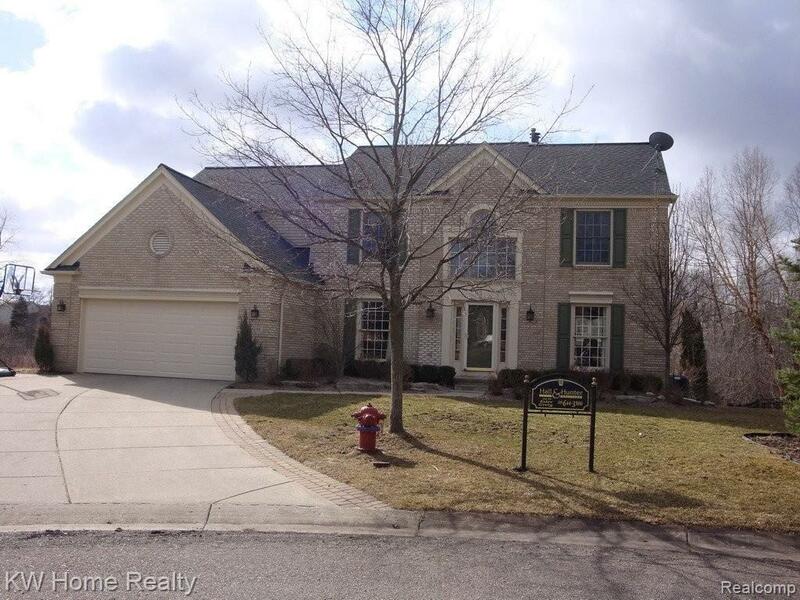 Impressive finished walkout lower level w/kitchen, full bath. 5th bedroom door wall to brick paver patio. New roof, furnace & insulated garage door 2011. Immediate possession.